On Thursday night, my lovely Bulgarian took me out to dinner. We often go out to eat or on sweet dates around the city, but this was a particularly special one as we were celebrating a special occasion. Last week, I got a promotion at work. I started in the company seven months ago, so I was really pleased to be given a promotion so soon, especially as it’s the first time in my career that I have ever gotten one. For those of you who don’t know, I graduated university last summer with a BSc in Computer Science with Artificial Intelligence, and I began working in my company, a digital agency in Central London, as a software developer soon after. I’m really passionate about what I do, and love where I work. Perhaps that’s a blog post for another time, as I could talk about technology and the IT industry for hours, but this is about Thursday, so let me get back to that. 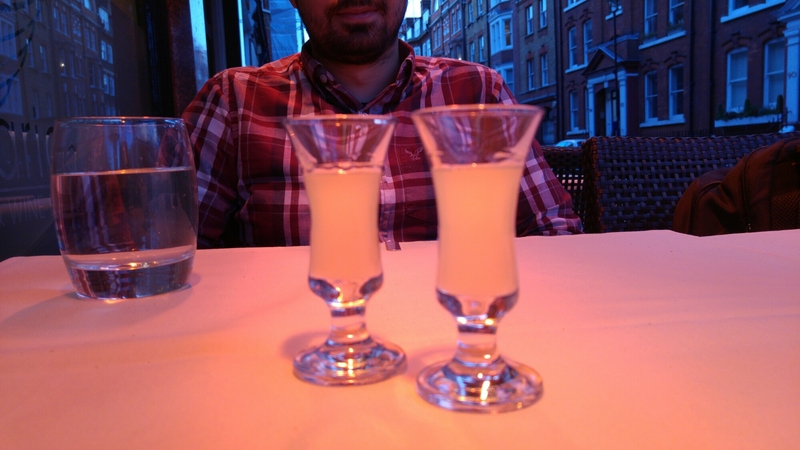 The Bulgarian is also in tech, we met in university actually, so he was particularly proud of me for this and wanted to take me out to celebrate. 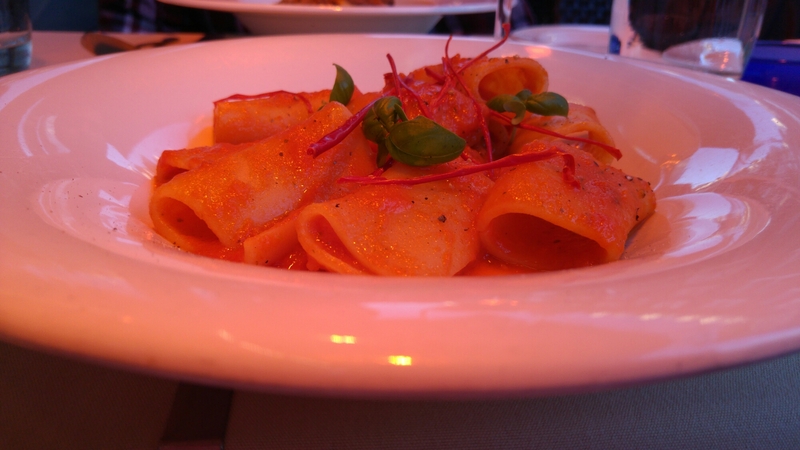 I said I’d like to go somewhere a little more special than the places we normally go, as lovely as they are, so we looked online and found a restaurant not too far from Oxford Circus called Bellaria. As an added bonus, there was 50% off the menu (I might not be a student anymore, but I’m notorious for loving a good deal). One of the reasons I picked Bellaria was the photos of the beautiful basement seating area I saw online. I asked The Bulgarian if he’d mind requesting we sit there when making a reservation, but as it happened, it was such a beautiful day that it seemed a waste not to sit outside. This is the first time this year it’s been nice enough to sit outdoors, so I wanted to make the most of it! The waiters were incredibly attentive, but without being obnoxious. They made sure our water was refilled, the food was brought promptly and we were well taken care of. 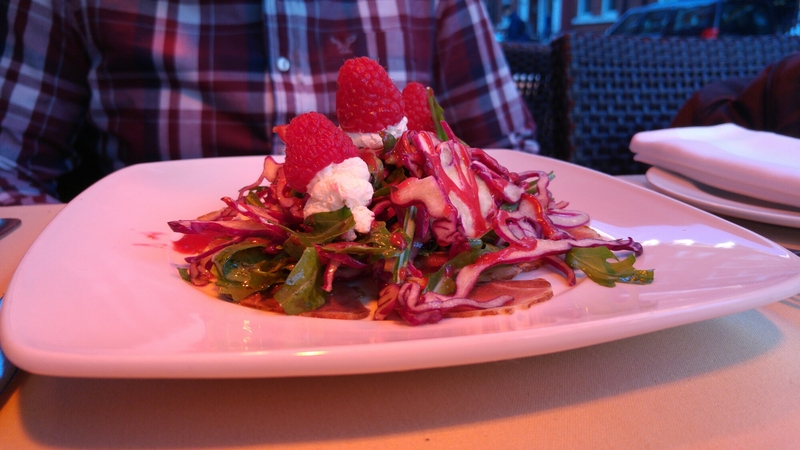 To start, I ordered the burrata cheese appetiser. 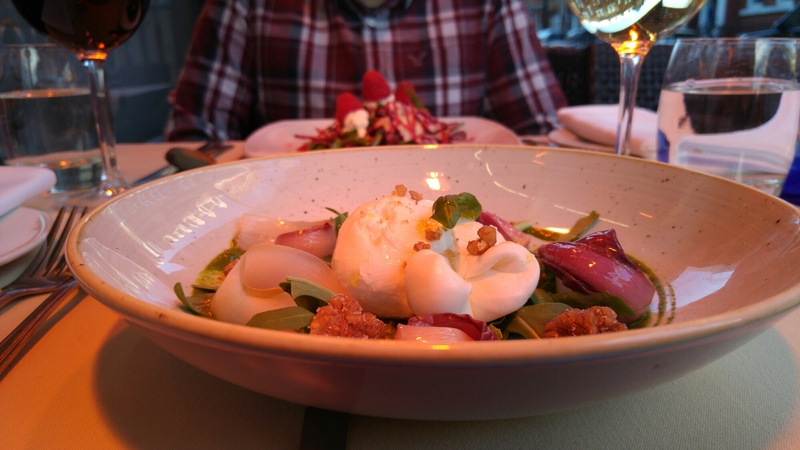 I’d never had burrata before, and I’m not entirely convinced I’m a fan. 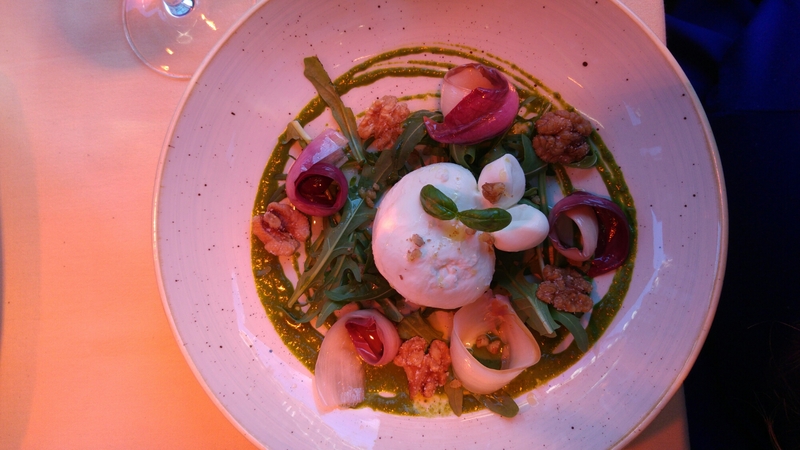 The dish was presented beautifully, with a garnish of pesto, caramelised walnuts and raddichio. I could definitely taste the freshness of the ingredients, but I just don’t think the cheese is for me. The Bulgarian got a starter of duck, and he said he felt that there wasn’t quite enough meat in the dish, but otherwise it was lovely. 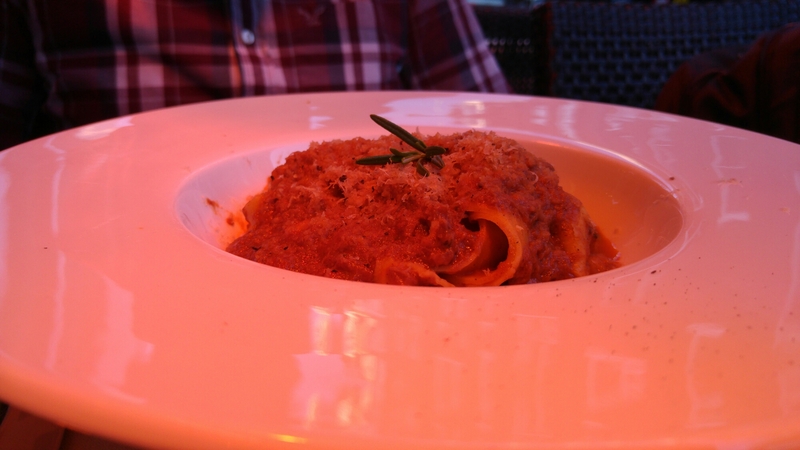 As a main, he got a venison ragu pappardelle pasta dish, which he loved. I’m not a meat eater at all, but it was well presented and if I could pretend the venison was Quorn, it looked delicious. The dinner was delicious, the service was great, and the loveliest touch was the two little glasses of limoncello we were presented with alongside the bill. It was a really lovely evening, and I made sure to peek into the basement before we left. I’m glad we sat outside, but the basement seating is so beautiful that I’m already hoping for another visit sometime!